Be prepared to be mesmerized by this beautifully animated feature, described as “smart and imaginative” by the Hollywood Reporter. The Art of Happiness is the story of two brothers connected across physical and spiritual distance. In Naples, Sergio, a taxi driver and former jazz player, receives shocking news that changes everything. He plunges into the depths of his own consciousness, reflecting on the past and future. Passengers pile in and out, as Sergio drives through the storm raging in his mind and outside his cab. As the rain subsides, it reveals a stunning sky that proves it is still possible to live -- and love -- after the end of time. 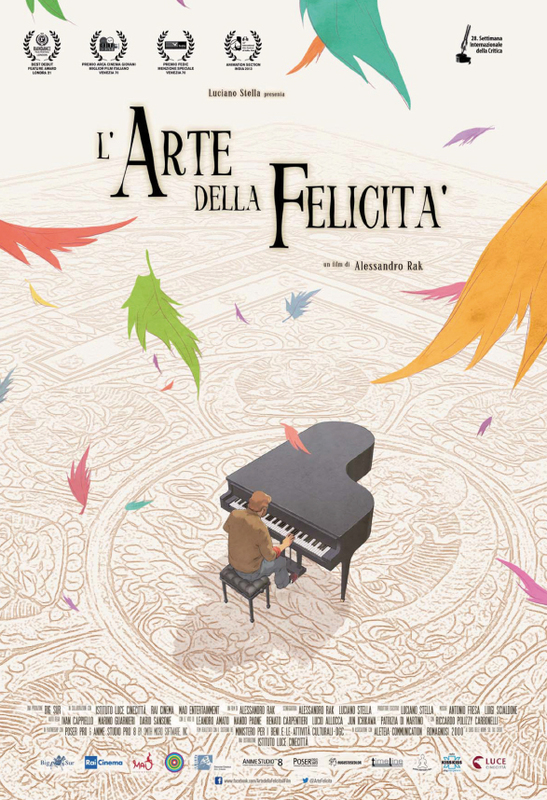 Spectacular animation with a mesmerizing soundtrack by Antonio Fresa and Luigi Scialdone.